Every year approximately 80,000 kilometers of roads are analysed in Sweden. Ramboll has developed a 3D laser scanner in collaboration with the State Research Institute in Lithuania (KTTI), which makes it possible to scan roads with high resolution while driving at 90 km/h. The new equipment quickly and efficiently collects large amounts of data and is a major step forward when it comes to big data analysis and AI. “The new technology creates possibilities to work with road safety and sustainability in a cost-efficient manner and is part of Ramboll’s Smart Infrastructure work. The rapid collection of data combined with data analytics enable us to assess the state of the road network and optimise the maintenance regime”, says Ildiko Boström, business unit manager at Ramboll Road Survey Technology. It’s the first time surface conditions and cracks have been measured at such speed in Sweden, and the method is expected to be fully introduced in Sweden from 2020. “The advantages include the possibility to frequently collect data that can be used for a variety of purposes, both on road network level and object level. The system can inform asset management systems for the whole of Sweden, says Ildiko Boström. Analysing the vast amount of data is the real challenge, but great progress in machine learning capabilities is making this task easier. “Even though the machine is recording data more accurately than a human, it cannot interpret the data from the beginning. We must teach the program to discern and interpret factors like surface effects, cracks and roughness. We do that by feeding the algorithm with data samples, which ensures that the system provides better and better insights on the true conditions of the roads. Visual subjectivity will be replaced by objective machine interpretation and reduce human errors”, explains Ildiko Boström. 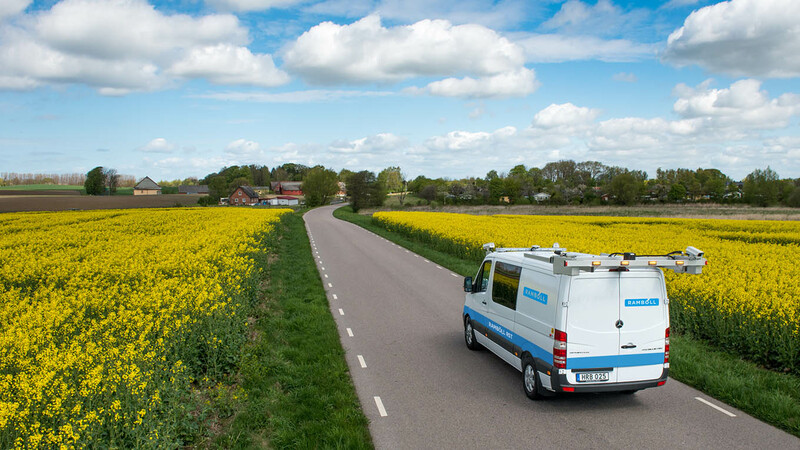 Ramboll has over 20 years of experience in measuring road surface and is a leading European provider of asset management solutions, from equipment and measurement to analysis.